The INFORMAR kick-off event was organized on 7 and 8 December 2017, in Bonn, Germany. 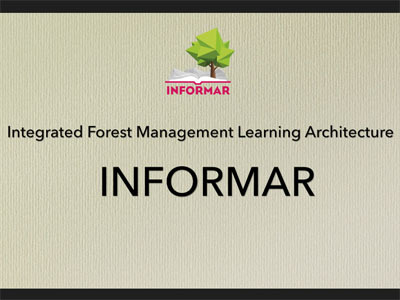 The objective of the event was to introduce and discuss the aim of INFORMAR with involved stakeholders (policy-makers, practitioners and researchers) and to communicate the idea of a large science-policy network related to integrated forest management. The event was also designed to help in the selection of best practice case examples that will be a target of research throughout the project. During the kick-off we collected testimonials on integrated forest management from some of the meeting participants. The following video is the output from these testimonials where we ask "what is integrated forest management", "how can integrated forest management help to tackle climate change" and "how can forest policy better support integrated forest management". The complete video is available here: INFORMAR kick-off video. You can also watch each question seperatly: What is integrated forest management; How can integrated forest management help to tackle climate change; and How can forest policy better support integrated forest management. The film "Wise use of our forest: the integrative approach" (2017) takes us on a trip into European forestry. It describes current forest management practices in different European countries and offers a perspective on how sustainable timber production and nature conservation can be combined. We will learn that management legacies have often caused poor structural diversity in many forests, making protected areas with natural or near-natural forests highly relevant for studying which processes, structures and substrates we should keep in managed forests to foster biodiversity. We will see that retaining deadwood and tree microhabitats can help providing suitable habitats for many forest dwelling species also in managed forest and thus covering a larger area of forested land. And we will understand that this approach may result in reduced timber harvests, but can also be seen as an investment in more resilient forests for the future. 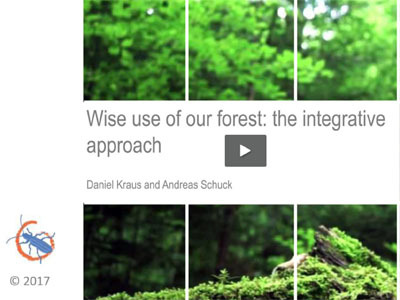 "Wise use of our forests: the integrative approach" was written by Daniel Kraus and Andreas Schuck and produced by Filmhaus Berlin. The film is one of the outputs of the demonstration project 'Establishing a European network of demonstration sites for the integration of biodiversity conservation into forest management' supported by the German Federal Ministry of Food and Agriculture (BMEL). The film is available in English, German and French.